Discover Vietnam’s opulent side with 9-nights of luxury in Hanoi, Halong Bay and the paradise island of Phu Quoc. Staying at the most outstanding 5* accommodation that Vietnam has to offer, you’ll have the opportunity to uncover a treasure trove of cultural and natural wonders. Dive into the history and culture of Hanoi, Northern Vietnam’s 1000-year-old capital before journeying to the emerald-green waters of Halong Bay, exploring its mystical sea-caves on a traditional Junk ship. 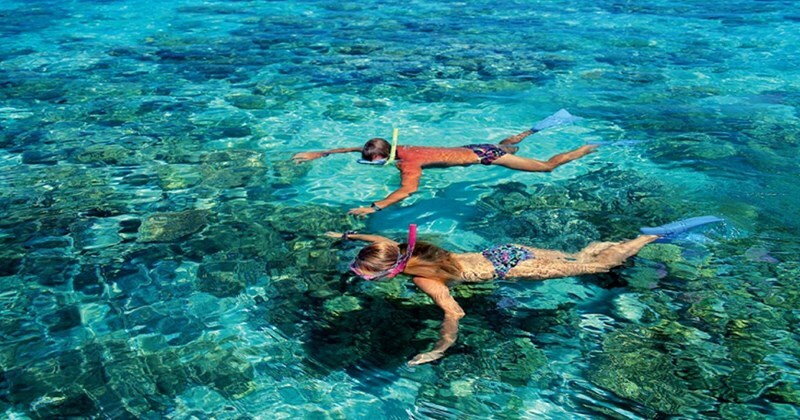 After some evocative site-seeing with a private English-speaking guide, you’ll be set free with a 4-day trip to Phu Quoc, an unspoilt island home to 20 paradisiacal beaches and a protected biosphere reserve! 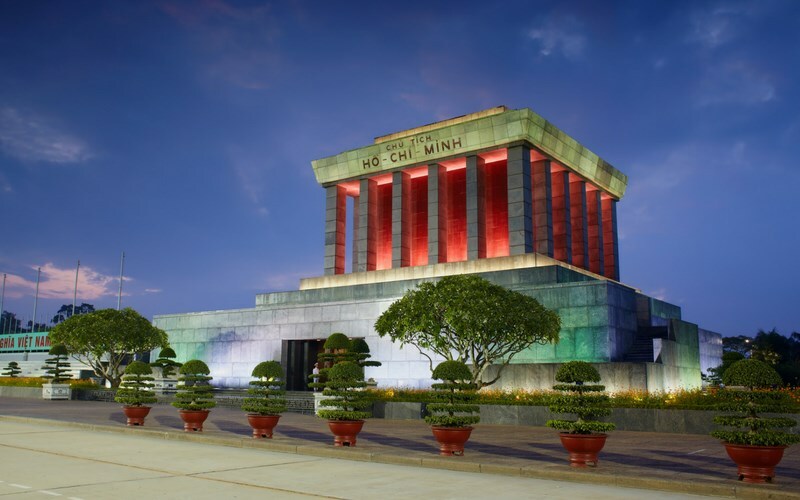 Situated in the North, Hanoi is the capital of Vietnam and is the second largest city in the country. 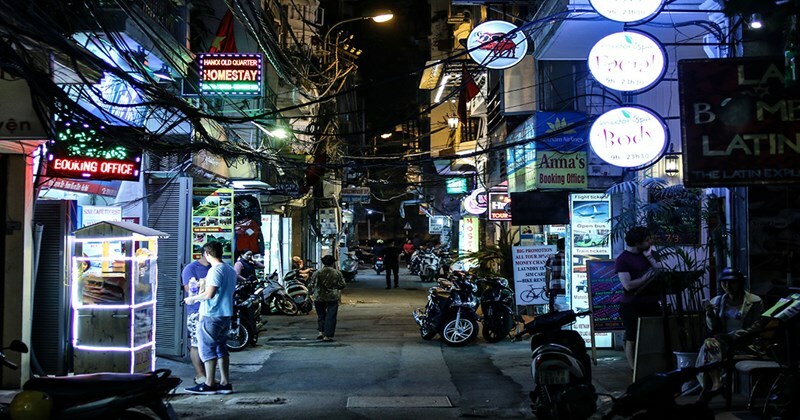 More than a thousand years old, Hanoi’s rich history can still be observed to this day in the ancient architecture of its Old Quarter, as well as in the remnants of French and Chinese-style buildings across the city. This bustling metropolis is home to fascinating museums, turn-of-the-century temples and important historical sites. After breakfast, your guide will take you to the spectacular Halong Bay. 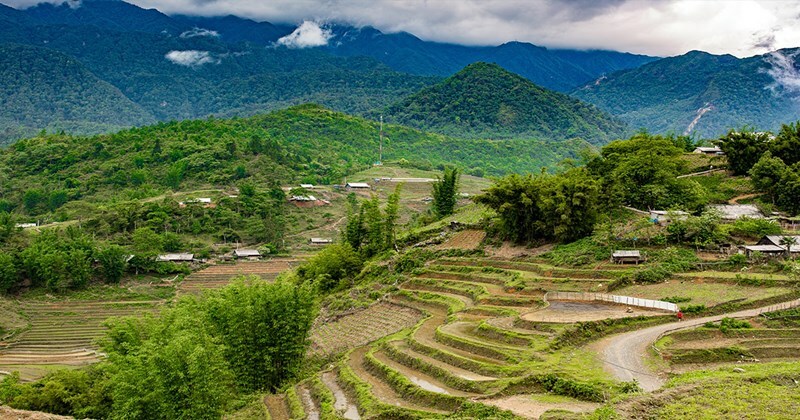 Enjoy the beautiful scenery as you journey through the rich farmlands of the Red River Delta, admiring the landscapes of rice fields, water buffalos and interspersed Vietnamese villages. Once in Halong Bay, you’ll cruise through the poetic landscape on a traditional Junk (sailing ship). Throughout the day you’ll explore the array of naturally formed islets and caves scattered across the seascape, including Dinh Huong, Ga Choi, Dog Island, and Sail island. You’ll even have the opportunity to visit Luon cave by paddle boat and swim in the emerald-green waters of Halong Bay. In the evening, you’ll enjoy a fresh seafood dinner on the moonlit bay, sleeping overnight aboard the Junk ship. A UNESCO World Heritage Site, Halong Bay is scattered with more than 2000 floating islands of karstic rock. 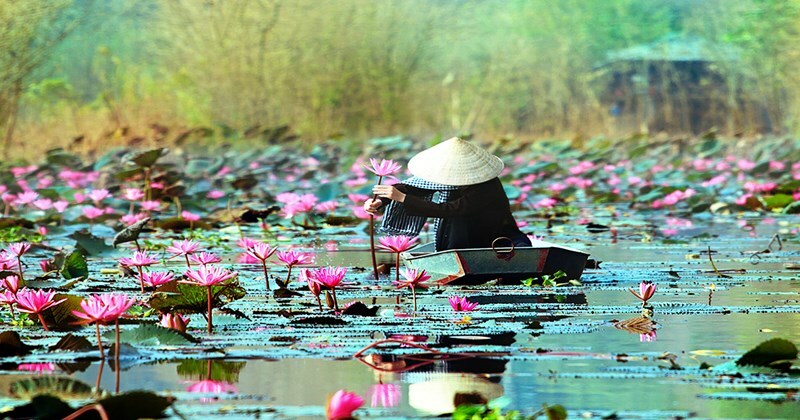 Legend has it that these floating islands were created by a family of dragons who were invoked by the Emperor to protect Vietnam against Chinese invaders. The dragons flew across the bay, spitting out jewels and jade, which magically turned into scattered islands. Together, these islands linked to create a protective barrier, which can still be admired to this day. Wake up early to view the sunrise over the bay with a cup of “Trung Nguyen” espresso –the most famous one in Vietnam , a wholesome breakfast before visit the recently discovered Surprise Grotto with its great views. On the next island sightsee the yawning mouth of Bo Nau Cave. Continue visiting Bai Tu Long bay. Transfer back to Hanoi at 11.30 by road and transfer to hotel on arrival. Arrive Hanoi on 15:30. Have free time in Hanoi. Enjoy your free time at your hotel or some last-minute souvenir shopping. Your guide will meet you later to transfer you to the airport for your flight to the beautiful resort of Phu Quoc. Enjoy your free time at your hotel over these 4 days, relaxing at the paradisiacal Phu Quoc resort and beach. 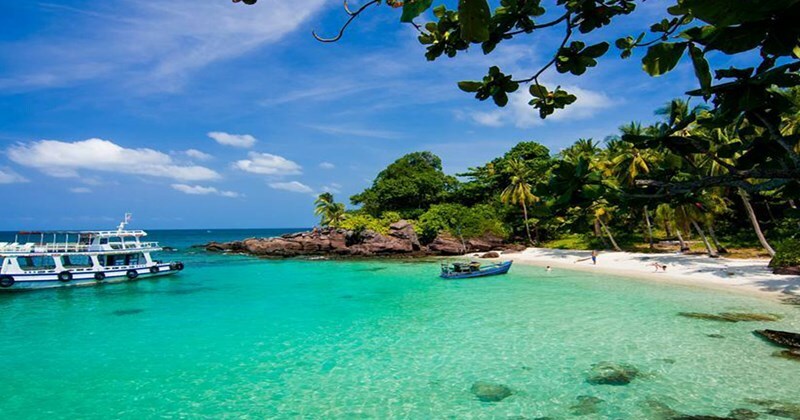 One of Vietnam’s best-kept secrets, Phu Quoc is a small paradise island sitting just off the coast of Cambodia. 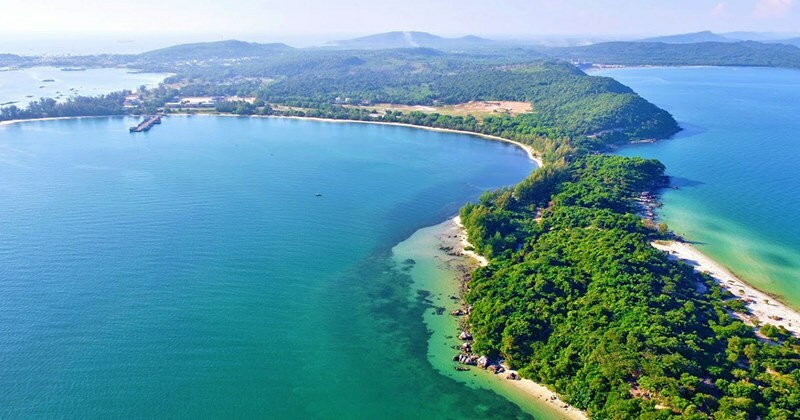 Phu Quoc is home to the Kien Giang Biosphere Reserve, a protected natural park that covers half the island and features a tropical jungle, a mountain-range, and plenty of exotic wildlife. 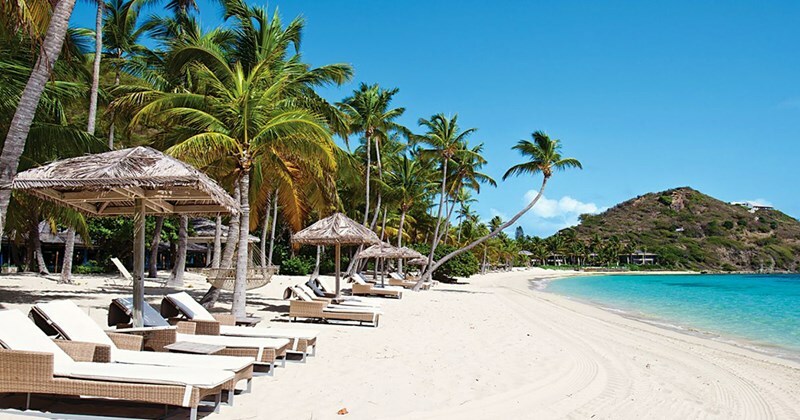 The island’s 20 unspoilt beaches boast powdery white sands and jade-green waters. Visitors can also travel by boat to the surrounding 28 islands, all of which are uninhabited. Your guide will meet you to transfer you to the airport for your flight home. Good Bye Vietnam! Located in the centre of Hanoi’s splendid Old Quarter, Hanoi La Siesta Trendy Hotel is a luxury 5* oasis of calm in the bustling city. Its alternative yet stylish décor gives the hotel a boutique flair, whilst it’s modern facilities and furnishings provide the ultimate comfort and splendour. Staying in the exclusive Trendy Suite, you’ll wake up to vibrant street views from the guestroom’s panoramic windows. Spacious and elegant, the Trendy Suite is furnished with a plush King-sized bed, a generous seating area, a flat-screen TV, minibar, electronic safe deposit box, alarm clock and an ensuite bathroom. Guests receive an indulgent service with remarkable attention to detail, including welcome drinks and refreshment towels on arrival, luxury bathroom amenities, soft bathrobes, and an evening turndown service. Hanoi La Siesta Trendy also features an onsite spa, one of the most recognised in all of Hanoi. The sleek and contemporary Red Bean Restaurant sits on the 8th floor, offering views of Hanoi’s mesmerising skyline. You’ll be tantalised by all the fine aromas and flavours at this truly exquisite restaurant, specialising in Vietnamese cuisine. Adding to the luxury experience is a finely-stocked wine cellar and cigar bar, as well as a library and lounge. This is the perfect choice for those looking to visit Hanoi in style! Please note: Room upgrades and Board-Basis upgrades may be available for this Hotel. To request an upgrade or a different hotel altogether, please call your Vietnam Direct holiday consultant. A traditional Vietnamese ship, the Pelican Cruise is inspired by 14th-century wooden junks. Enjoy a unique stay aboard Pelican Cruise’s roomy cabins, each of which is beautifully decorated with dark wood panelling and fitted with an ensuite bathroom as well as panoramic windows offering spectacular views of Halong Bay. Those looking for some fun aboard will find that there are a variety of activities and services to keep everyone entertained, including Tai Chi classes, cooking classes, karaoke and kayaking excursions. The Pelican Cruise also features an onboard spa, providing customised massages, facials and relaxing therapies. Pelican Cruise is also home to a restaurant with a view, offering a delectable mix of Western and Asian cuisines. A night aboard the Pelican Cruise promises a truly unforgettable experience in the UNESCO World Heritage Site of Halong Bay. Those looking for the gilt-edged experience in Thailand will be taken aback by the world-class service at Salinda Phu Quoc Island Resort and Spa. A luxurious 5* hotel, Salinda sits by the soft sands and crystal-clear waters of Long Beach. Overlooking the glimmering ocean is a gorgeous infinity swimming pool, fitted with the latest filtration technology so that you can swim free of any allergies or skin dryness. Guests can also enjoy ocean views from the private balcony-terrace of a Deluxe Room, all of which feature a satellite flat-screen TV, minibar, and ensuite bathroom. Boasting 3 sumptuous restaurants, you can indulge in a range of gastronomic delicacies at Salinda – from authentic Vietnamese cuisine, homemade Italian dishes concocted with the highest quality ingredients, and richly flavoursome Indian offerings, promising an ‘epicurean journey’ through New Delhi. Exotic drinks and delectable snacks are served throughout the day by the Pool Bar, as well as the Lobby Lounge, where guests are graced with live music from 21:00 until midnight. Better yet, guests can take to the stage themselves at Club U-Sing-Along, a beautifully decorated karaoke room that can be pre-booked upon request. Finally, guests can pamper themselves at Salinda Spa, enjoying the finest of traditional Thai treatments for the ultimate luxury experience. Experts in Vietnam. Authentic Experiences. The UK's Vietnam Holiday Specialist. 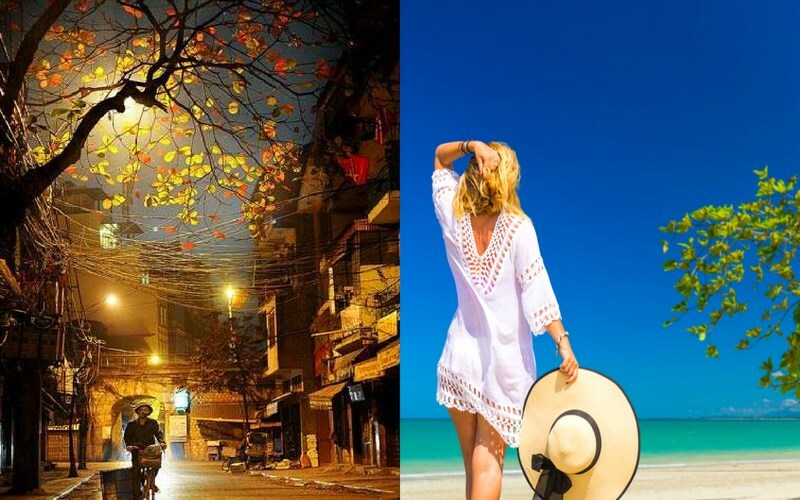 Let us know about your travel plans, our team of Vietnam specialists will send you free itinerary ideas based on your interests. We provide full financial protection for your money. ABTA number Y6442. Your flight or flight-inclusive package holiday is financially protected with ATOL Licence 6346. 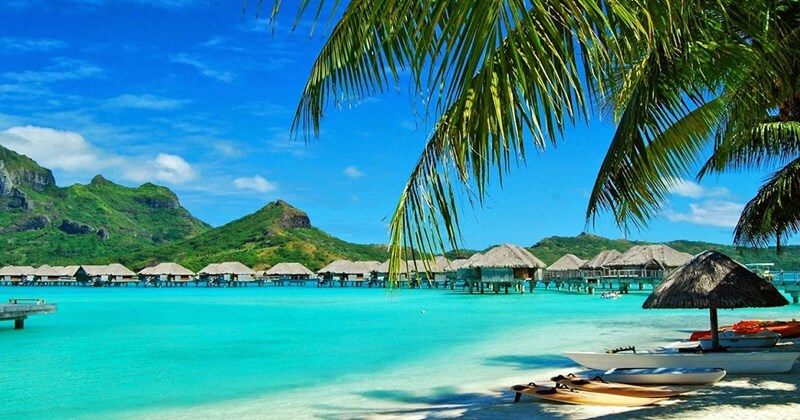 Your non-flight inclusive package holiday is financially protected by a TOPP policy. 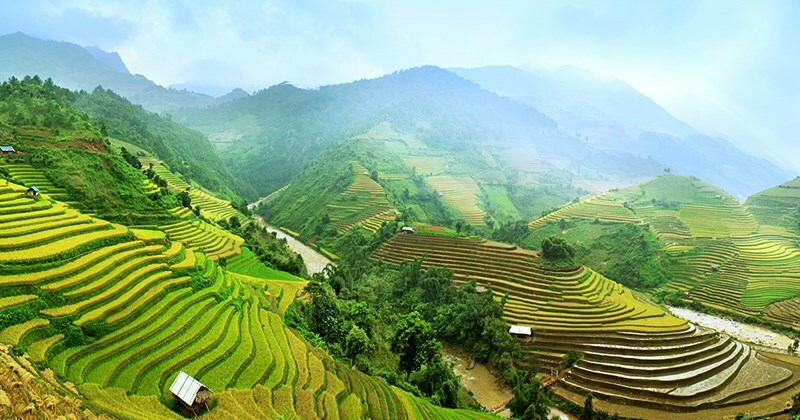 Vietnam Direct is an IATA Accredited Tour Operator. Independent, unedited Vietnam Direct reviews provided by Feefo, the Global Feedback Engine. Copyrights © All Rights Reserved by Live Holidays Ltd.